What Is The Motorcycle Theory Test? Your motorcycle theory test is a computer based test, devised by the government, and offered at various locations throughout the UK. Anyone wanting a full bike licence must have a motorcycle theory test pass – regardless of any other tests they have taken. You will need to book and take them as a single test and you have to pass both parts in order to pass. When Can I Take My Motorcycle Theory Test? If you have already received your provisional licence, you can look into taking your Theory Test for your first full moped or motorcycle licence. You can apply for your theory test before or after you have completed your CBT. You can apply to take your theory test anytime from your 16th birthday onwards, if you are learning to ride a moped of no more than 50cc or from your 17th birthday onwards if you are a learning to ride a motorcycle. How Much Does It Cost To Take The Motorcycle Theory Test? The fees for both the theory and later practical tests are set by the Government so they should be the same throughout the UK. Currently, the set price for a motorcycle theory test is £23.00. The cost of both the multiple-choice and the hazard perception parts are included in this one fee, and if you fail you will need to pay the same again when you re-take the test. Where are the Motorcycle Theory Test Centres? The easiest way to find your nearest test centre is to use the form on the Government website here. You enter your postcode and it will show you the motorcycle theory test centres near you. Most people are familiar with this style of test, as they are used in many areas of modern day life. There are plenty of opportunities online to work your way through practise tests to gauge your knowledge and improve your confidence before you embark on the test for real. During the first part of the test, you will have 57 minutes to answer 50 multiple-choice questions. A question and several possible answers will appear on the screen. You have to select what you believe is the right answer. Some questions are given as a case study. If you are unsure of your answers at any time, you can ‘flag’ a question that you want to come back to later, or review and change your answers at any point. You can use the full 57 minutes to answer the questions if you need to, or you can finish sooner. You can have a break of up to 3 minutes before the hazard perception test starts. What does the law say about carrying luggage on a motorcycle? A – It must be covered with a protective sheet. B – It must be visible to other road users. C – It should be carried only when absolutely necessary. D – It must be securely fastened at all times. at least one ‘developing hazard’ – in other words, you are looking to spot something that would cause you to need to take action. Scenario: A car is parked at the side of the road and isn’t doing anything. It wouldn’t cause you to take action, so it’s not a developing hazard. Developing Hazard: When you get closer, the car’s right-hand indicator starts to flash and it starts to move away. You’d need to slow down, so it’s now a developing hazard. You can score up to 5 points for each developing hazard. To get a high score, click the mouse as soon as you see the hazard starting to develop. This test is designed to measure how quickly and safely you are able to react to changing conditions and hazards on the road, which is an important element of being a good rider. You can revise for your theory test before the day by simply undertaking practise test questions online and making sure you know your Highway Code. There are loads of different resources for learner riders online, and the more knowledge and practise you have, the more confident you will feel on the day. Take time to do some home study and practise tests before your hit the test centre, to ensure that you pass the first time. Where can I book a motorcycle theory test? You can book your test online via the DVLA website. Tests are always undertaken at government run Test Centres throughout the UK. There is a full list of them online, or you can check with your local authority as to where your nearest test centre is. How much is a motorcycle theory test? Your theory test currently costs £23. 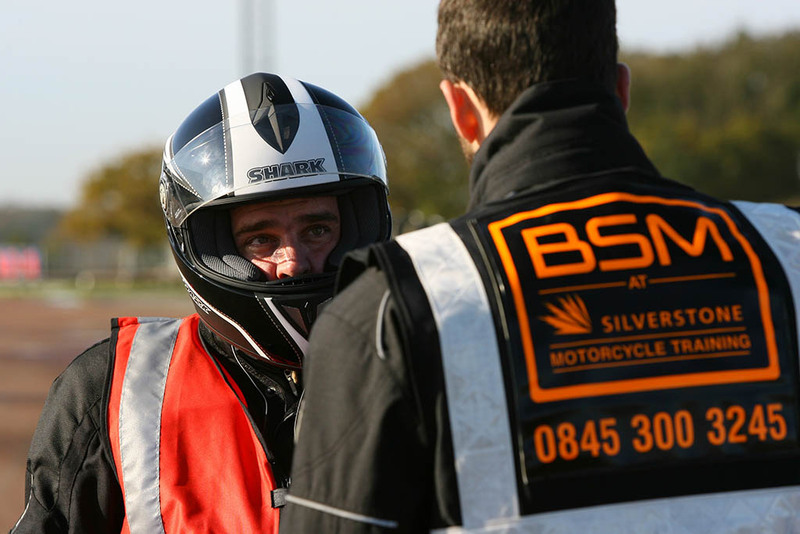 Unlike your CBT, motorbike theory tests are held in test centres around the UK, and not private driving schools, and have a set fee of £23.00. If I fail my theory test do I have to pay again? Yes, you’ll need to pay again. If you fail and want to re-take the test at a later date, you will need to pay the same fee again. What Is The Theory Test Pass Mark? For the two tests, you will need to achieve the following to pass. If you do not, you will need to sit the test again at a later date. For the hazard perception test you will need to correctly identify at least 44 hazards from a possible 75. Once you have passed, you will receive a certificate that you will need to take with you when you undertake your practical test. As a UK licence holder, you will need to take a theory test if you want a licence for a new category of vehicle. Therefore if you have a car licence and you want a motorcycle licence you will need to take a theory test. You should already be very familiar with the rules of the road and your legal obligations, but you may need to learn about new rules and considerations that you will face as motorcyclist. As a legal road user, it is your responsibility to make sure you have the correct licence for the vehicle you are driving. Do I need a theory test if I’m just doing a CBT? You do NOT need to take a theory test for your CBT. But, most people will sit a theory test for the next level accreditation either just before or during their CBT. Where’s My Nearest Theory Test Centre? You can find a full list of theory test centres on the DVLA website. Click here and insert your postcode to find a centre near to you. Can I do a practice Motorcycle Theory Test? Yes, one of the easiest ways to sit a mock theory test is to buy this motorcycle theory test DVD from Amazon. You can use it on your Windows PC and practice the motorcycle theory test. Is there a Motorcycle Theory Test book? Yes, you can grab a copy from Amazon here.